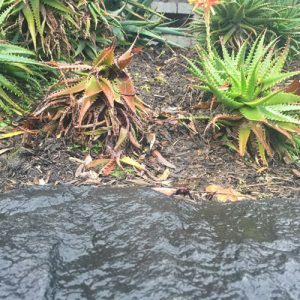 In the world of living things (human or plant) there are always undesired nasties lurking and this includes in the world of aloes, which are generally tough plants relative to other garden plants. 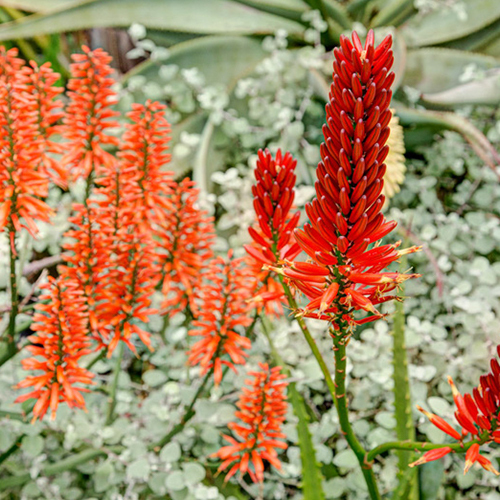 However fortunately Australia is generally free of some of the really bad nasties affecting aloes in Africa and our quarantine regime hopes to keep it that way, preventing the illegal import of aloes into our island nation. Two of the real baddies in Africa is the snout beetle and gall mite (or aloe cancer) also widespread in the USA are not present in Australia. Aloe-Aloe cultivars are all derived from genetically superior plants with “hybrid vigor” they are generally stronger and much better able to cope with pests and disease than most pure aloe species. However the best defence against disease is a healthy Aloe-Aloe receiving good sunlight, sufficient water and good nutrition. Treatments of pests and diseases can be through the use of insecticides or by using more organic environmentally friendly solutions. We recognize the risks associated with insecticides and the risks certain insecticides introduce to other beneficial insects like bees and to the general health of the garden and the family. For this reason where possible we practice environmentally friendly solutions ourselves, but in a nursery production environment this is not always possible as we know from a lot of the fresh fruit and vegetables we purchase in the supermarkets. 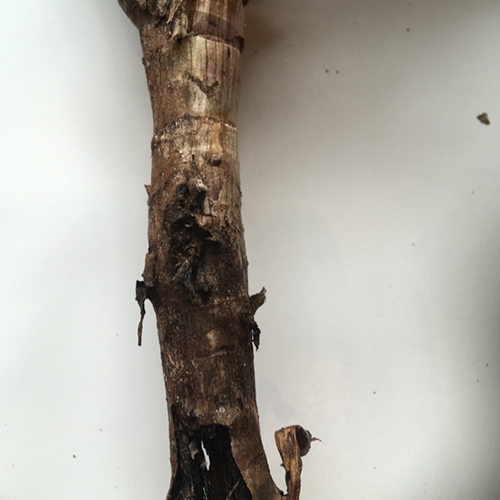 Preventative treatments include ensuring spent flower material is removed and applying high pressure water to the plant rosette and stem. However be aware if using insecticides that unlike most other plants, only insignificant amounts of even systemic insecticides are absorbed through aloe leaves. 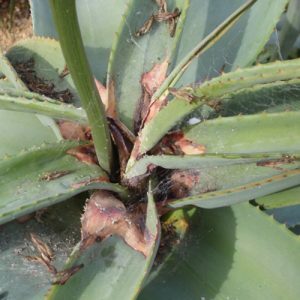 This makes pollen and nectar of aloe flowers safe for avifauna consumption, provided care is taken not to get sprays or powder directly onto the aloe flowers. If spraying is necessary we suggest that it be undertaken when there are the least number of flowers in the garden. Be sure to pull the centre leaves apart where they seem to be stuck together, before applying insecticide. Black leaf spot may be caused by a variety of fungal or bacterial infections, and is more likely when plants are under stress due to excessive moisture or high temperatures combined with high humidity. Bad drainage, not enough sun and poor soil often make this worse. A lack of nutrients can affect susceptibility. Spots are more likely to appear on older leaves. 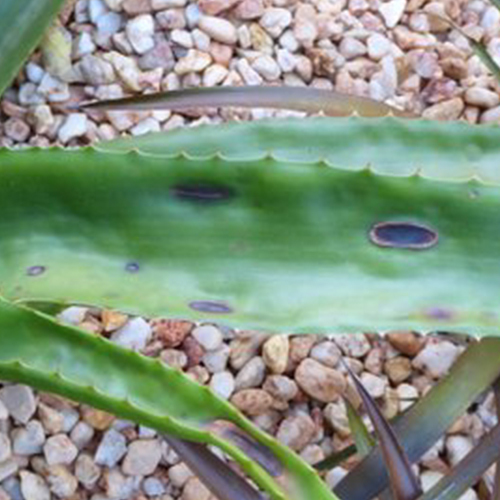 Some aloes have a genetic susceptibility, and often a few spots are unavoidable. This is no cause for concern, as it does not affect the plant’s health or flowering (they are a bit like a pimple on a human). Usually with improving the soil (rich organic soil), allowing more sun and improving drainage, black spot will not appear on the new leaves. If the spots are really unsightly (e.g. covering more than 10% of the leaf surface) spraying with a fungicide (e.g. mancoseb) may be necessary to clean up the new growth but the old leaves will always carry the damage until they are removed. White scale looks grey and on close examination rows of white scale can be seen, these sap suckers are white in colour and are about 1mm to 2mm long. It starts with what looks like a coin sized spot of white dust. It will gradually cover more and more of the leaf upper and lower surface. Eventually this deprives the plant of sunlight to the extent that it can deteriorate and die. They are stationary insects that are easy to kill, but they tend to remain where they are, creating the impression that the insecticide has had no effect on them. An environmentally acceptable treatment is to brush off the living insects with a toothbrush a strong jet of water. A solution of soapy water (some even suggest adding a little methylates spirits to the soapy water) or some suggest cooking oil can then be applied.